Mondo – Avengers: EndGame Issue! The Mondo – Birth.Movies.Death. 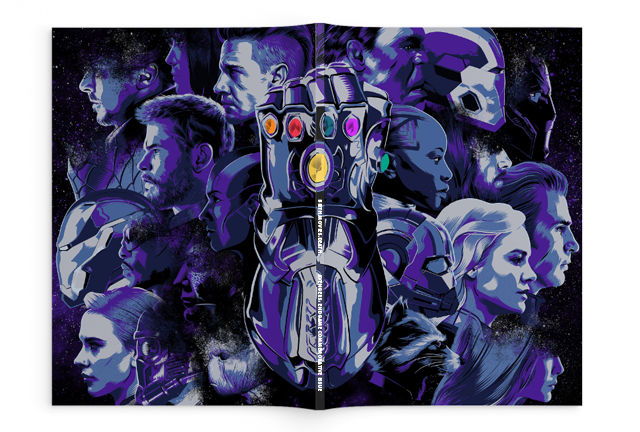 Avengers: EndGame collectible magazine has cover art by Matt Taylor! This exclusive Avengers: EndGame issue features exclusive interviews, character essays and a Mondo Marvel poster showcase! Tagged Alamo Drafthouse Cinema, Avengers, Avengers: EndGame, Marvel, Marvel Cinematic Universe, Marvel Studios, MCU, Mondo, Movies. « Spider-Man: Into The Spider-Verse Mondo Pins!